It. is. COLD. in. Chicago. And it looks like it’s going to be an even colder weekend with even more snow on the way! Oy vey. 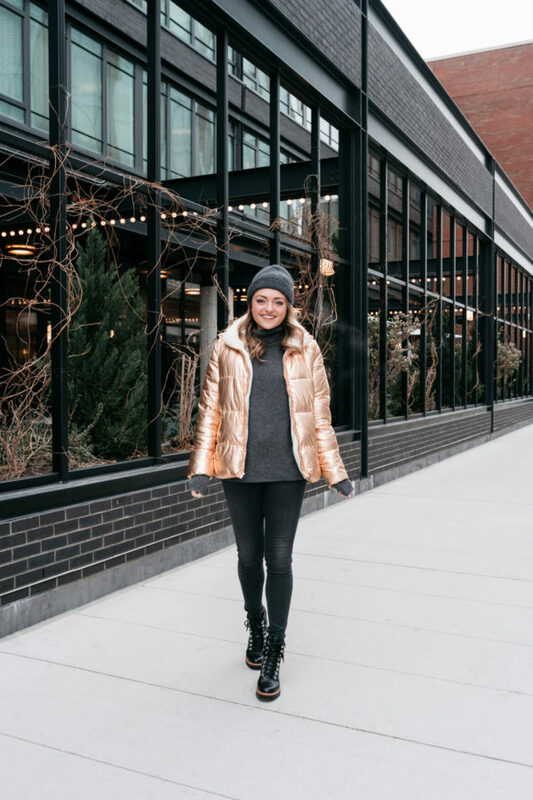 You know how I’ve preached about saving up for a Canada Goose coat, but there are times when you just want to switch it up from the puffer that you wear every single day… And that’s why I ordered this (extra AF) metallic puffer. 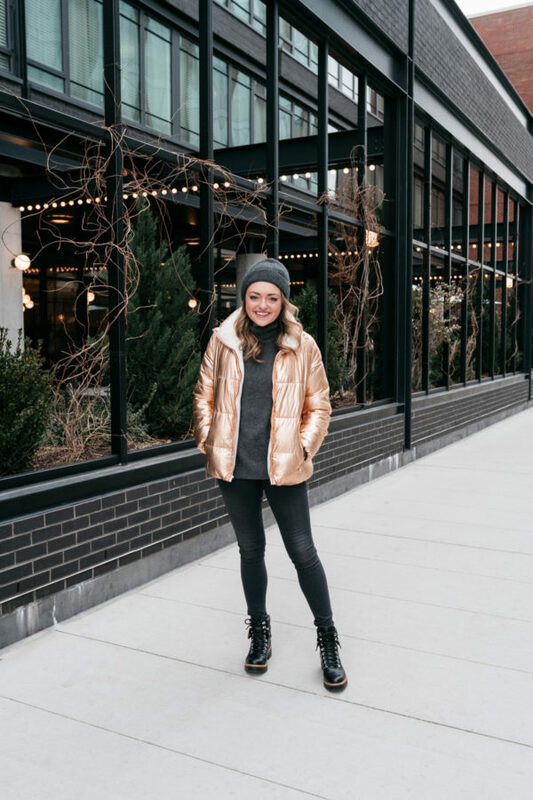 This is the “Frost Free” jacket from Old Navy and I have to say, it’s surprisingly warm for how affordable it was! (I ordered it over Black Friday with a hefty discount code making it, like, $40 or something crazy.) 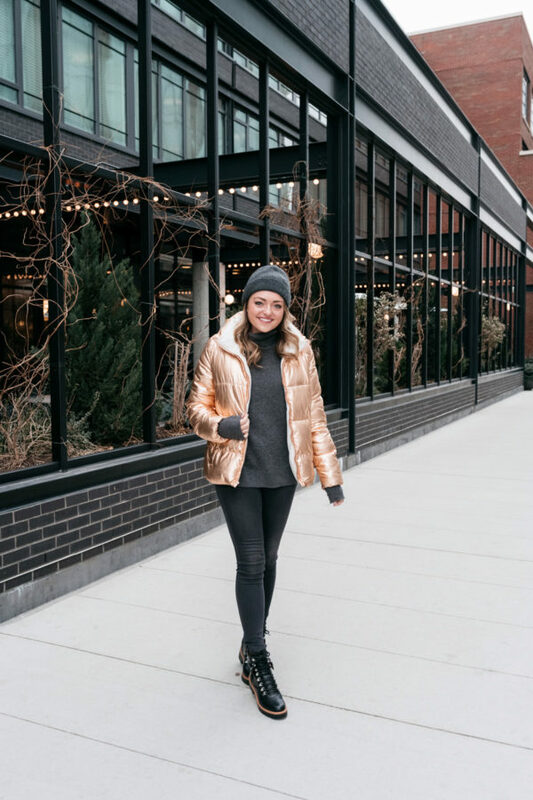 Someone always asks, so just FYI, I’m wearing a Medium in the Old Navy coat so I can fit chunky sweaters underneath with ease! 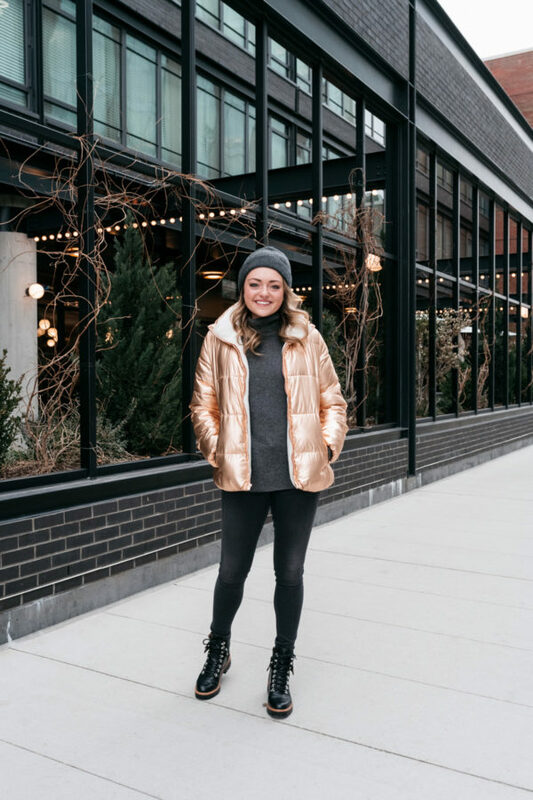 I had been eyeing the similar style at J.Crew, but was having second thoughts about splurging on a metallic rose gold coat. 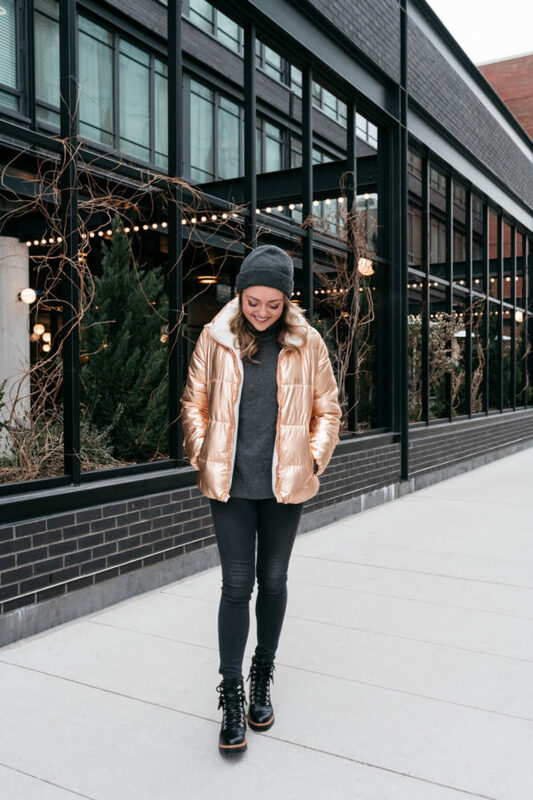 Sadly this color is sold out on Old Navy, but metallic puffer coats seem to be having a little bit of a moment so I found some similar options for ya! 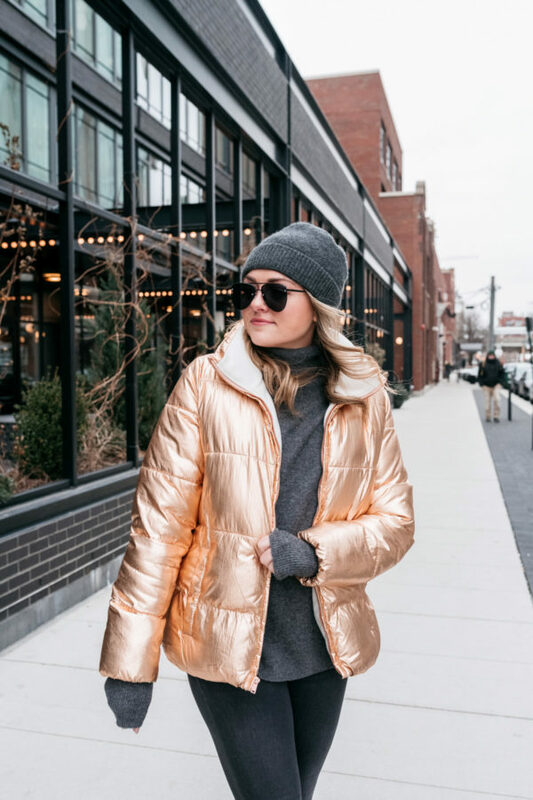 And luckily for you, most coats are on sale this time of year, so if you want to add a little pop of personality to some of your winter outfits, look no further! 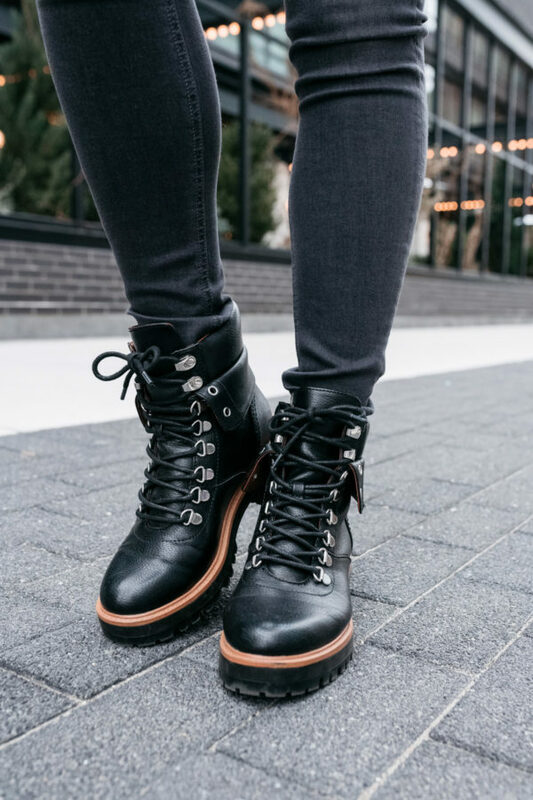 These booties have been on heavy rotation lately, too! I don’t know what it is, but I get so many compliments every time I wear them. To be honest, at first in my head, I was like,”They’re just a pair of black booties 廊,” but then I stop and I’m like hey, they actually are pretty cool and more unique with the faux fold-down look. Everyone loves when I say they’re only $60! Such a cool daily look! So something I would wear! I love rose gold! You look awesome! And also warm, which is no easy feat! Can agree that it’s FREEZING in Chicago! I was there for 18 hours yesterday/today for work – just wanted to thank you for your Chicago guide! I checked a few different bloggers and yours was not only the easiest to find, but also the most comprehensive – on your recommendation, I went to Ema for dinner (solo at the bar with my book, no shame) and it was PHENOMENAL! Thank you! !